U.S. Rep. Louie Gohmert, R-Tyler. U.S. Rep. Louie Gohmert, R-Tyler, announced Sunday morning that he will challenge House Speaker John A. Boehner of Ohio to be the leader of the House Republicans. 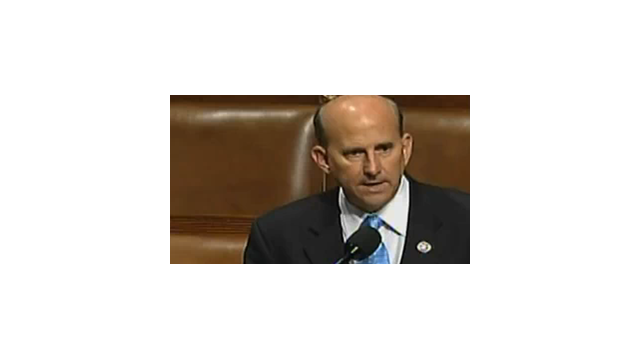 Gohmert is, for now, likely a long-shot threat to Boehner. But two years ago, Boehner won re-election as speaker by one of the narrowest margins in modern history, thanks to a band of rebellious House Republicans. “We’ve heard from a lot of Republicans that, “Gee I’d vote for somebody besides Speaker Boehner, but nobody will put their name out there as running, so there’s nobody else to vote for,’” Gohmert said in an appearance on "Fox and Friends” on Sunday morning. “Well, that changed yesterday, when my friend [Florida Republican Rep.] Ted Yoho said, ‘I’m putting my name out there. I’ll be a candidate for speaker,’” Gohmert added. Gohmert’s strategy is to force multiple rounds of voting. “Eventually the goal is, second, third, fourth round, we have enough people that say, “You know what, it really is time for a change,” he said. There is little evidence, however, that Gohmert has done the extensive behind-the-scenes politicking necessary to position himself to twist arms in a speaker's race. He is associated with a group of House Republicans who are often at odds with leadership on votes and in tone. Gohmert in particular has a reputation for earning attention for controversial statements. And his leadership PAC donated just $51,000 to fellow House Republican candidates over the course of the 2014 campaign. That sum included a $2,500 contribution to U.S. Rep.-elect Will Hurd, who will represent much of Southwest Texas. By comparison, Boehner’s leadership PAC contributed $1.2 million to fellow candidates, including contributions to Hurd and seven other members of the Texas delegation. And Rep.-elect Barbara Comstock, R-Va., indicated on CNN’s "State of the Union" that she has seen few signs of a brewing coup against Boehner. “There hasn’t been a campaign or any phone calls that anyone has received, so I expect that’ll move forward smoothly,” she said.